BANGOR, Maine — Democrats who now want to expand the Medicaid program under the federal Affordable Care Act are “jumping the gun” because not enough is known yet about the program, Gov. Paul LePage said Saturday. The governor and his wife, Ann LePage, were in Bangor on Saturday morning to attend the state convention of the Maine chapter of Disabled Veterans of America. LePage was reacting to what he called “an ultimatum” delivered Thursday by Democratic legislative leaders. They proposed a deal that would tie the payback of Maine’s $484 million hospital debt to the expansion of Medicaid, according to a previously published report. The governor used stronger language when he spoke with a reporter from the Sun Journal in Lewiston. In that interview, LePage called on Mainers to demand that the hospital debt be paid. The governor was in Lewiston for personal reasons. Both Eves and Alfond are Democrats. Eves is from North Berwick. Alfond lives in Portland. 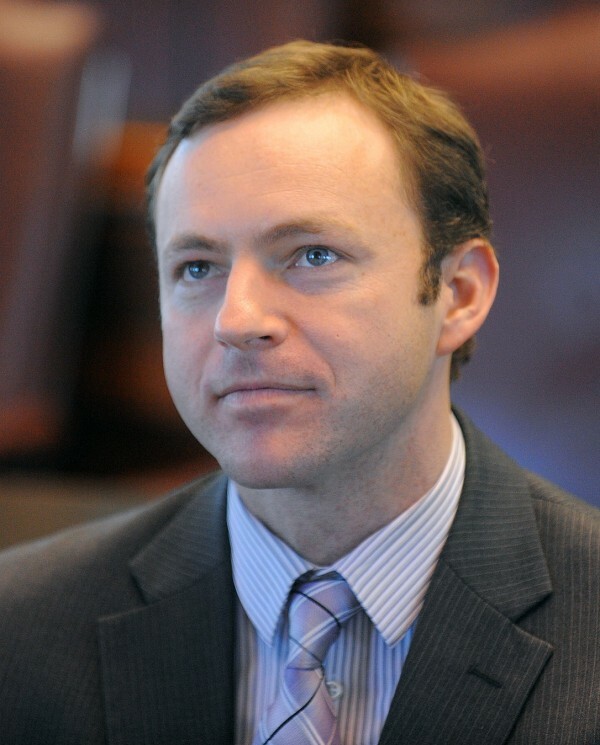 The governor accused Alfond of being an “obstructionist,” the Sun Journal said. In Bangor, LePage said that before he can commit to a Medicaid expansion, he needs more details about how the the program will be implemented. “I’m not going to say that we won’t expand Medicaid, but I need a lot more information from the federal government,” LePage said Saturday. 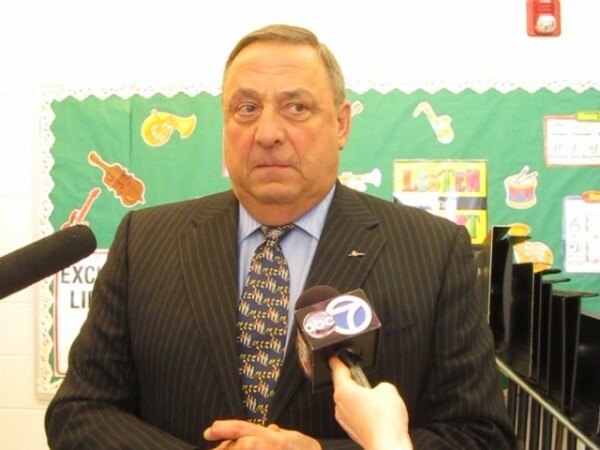 LePage said that he wanted to look at Medicaid in its entirety, including reports of fraud. The governor also said he wants look at the entire safety net system, including welfare, to see how all programs that serve the poor can be made more efficient. Democratic leaders have said they want to pass a Medicaid expansion bill in the next few weeks. LePage unveiled his plan in January to pay off the state’s hospital debt by taking out a revenue bond backed by the state’s future liquor profits. He said he would release $105 million in voter-approved bonds that he has so far refused to issue once lawmakers sign off on his debt repayment plan. The hospital debt has accrued since 2009 for services hospitals provided to Medicaid patients but for which they haven’t been reimbursed by the state. Democratic leaders initially resisted the plan, saying the hospital debt payback and liquor contract shouldn’t be considered as part of the same bill. The party’s leaders later proposed an alternative plan tying the hospital debt payback to a renegotiation of the liquor contract. However, that plan, sponsored by Senate Democratic Leader Seth Goodall, proposed demanding an upfront payment from the winning liquor vendor rather than having the state take out a revenue bond. In recent weeks, consensus has emerged around using a revenue bond to pay back the debt as Attorney General Janet Mills, a Democrat, has said the approach meets constitutional muster and a nonpartisan analysis has shown the approach would also direct more revenue to state coffers than having a private company secure the capital needed to make a $200 million upfront payment. Eves last week said Democratic leaders are crafting a bill that ties together a renegotiation of the state’s wholesale liquor contract, a revenue bond to repay the hospital debt and the Medicaid expansion, which has been proposed in a separate bill by Rep. Linda Sanborn, D-Gorham.